A capture card enables you to capture, record, and stream HD content directly from your PC, Mac, or console devices directly to streaming platforms such as Twitch or YouTube. There are two types of capture cards: internal and external capture cards. Internal capture cards are installed inside your computer using standard PCI and PCI Express slots. While external capture cards connect via USB or similar interfaces. Some external capture cards are standalone capture cards meaning they will stream and record without any assistance from a computer. While other capture cards are installed directly inside a computer system. Capture cards are mainly used for streaming, but it can also be used to record and capture your best moments in gaming. The advantages to using a capture card depends on whether you are using it for a computer or console. Console users will typically see a greater improvement in stream and recording quality, while PC users will likely need to run a dual PC setup to notice a significant difference. In addition, capture cards can connect PCs and consoles together to create a separate recording and gaming system. Gaming and streaming simultaneously puts a lot of stress on your CPU. Streaming with a capture card will help reduce and offload CPU workload. Reducing workload will increase your performance, but it varies from game to game. Most PC games rely heavily on GPU performance while a few games rely on CPU performance. Thus, capture cards will have minimal performance increases for most PC games. It will have slight improvements for PC games that rely on CPU processing. For the most part, capture cards for PCs are only useful if you are running a dual PC setup. The main purpose of a capture card is to improve streaming and recording quality. However, most modern computer systems can handle streaming and gaming without a capture card. A capture card will not significantly improve performance or increase the frames per second (FPS). If you are experiencing low frame rates or poor streaming quality, then the ideal setup would be a dual PC with a capture card. One system should be used for gaming, while the other is used independently for streaming. A dual PC setup with a capture card will ensure a lag-free experience and the highest stream quality. The benefits of a capture card is much more noticeable on consoles. While most consoles can stream and record without a capture card, many desired features are missing. The impact on a stream’s performance and quality is much more apparent. A capture card enables you to use streaming programs such as OBS or XSplit. Streaming programs give you more flexibility and additional streaming options. A capture computer with a capture card will offload most of the stress from your console. It will give you more control over your stream and significantly improve stream quality. Most consoles can record gameplay but the recording duration is limited. For example, instead of recording hours of gameplay, you are limited to ~30 minute recording sessions. A capture card will remedy the problem by removing the recording limit and offering unlimited recording. As long as you have a capture card alongside a capture computer, you can record gameplay at the highest quality for as long as you want. This is especially important if you want to archive your stream footage and upload them to YouTube for a wider audience. AVerMedia Live Gamer HD is designed for PC gamers who want to record or stream their game footage. It is a PCI-E capture card that is installed directly inside your computer system. It can record or stream gameplay of up to 1080p and support for a wide range of resolutions. Live Gamer HD comes with an on-board H.264 hardware encoder which will significantly lower CPU usage and will render smaller files for post-editing. Decreasing CPU consumption will greatly enhance your gaming machine’s potential for streaming and gaming simultaneously. A decrease in CPU load also means better quality and higher fps. Your PC’s performance will no longer be affected during gaming and streaming sessions. Streaming amazing quality requires a high bitrate. The Live Gamer HD allows you to record at a bitrate of up to 60,000 kbps, which guarantees HD quality. AVerMedia Live Gamer Portable is a simple solution for gamers of all types. It works with nearly all mainstream gaming platforms such as Xbox, PlayStation, and PC. In a touch of a button, Live Gamer Portable can instantly capture and record gaming content. This device is portable, so there is no installation or setup involved. For people who want to record gameplay from consoles, this device works without a PC. Live Gamer Portable records high quality content in full 1080p. It works flawlessly with many popular streaming software such as OBS and XSplit. You can stream and record HD content simultaneously to local storage devices such as a PC or laptop. The files are suitable for post-editing software to make it easy to upload to social media platforms such as YouTube. For console platforms, a portable capture card is a better choice over standard PCI-E capture devices. 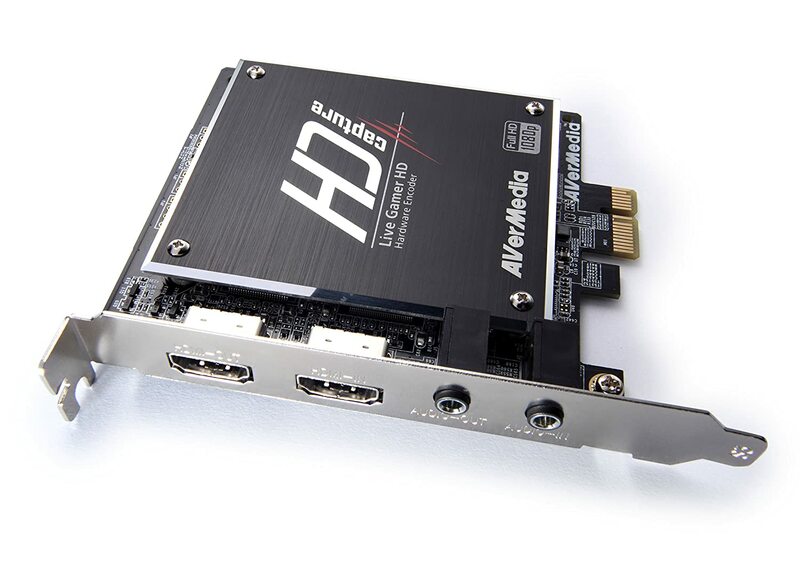 AVerMedia’s ExtremeCap U3 is a video capture card that uses the USB 3.0 interface. It is a highly versatile device and offers extreme quality. ExtremeCap U3 is an affordable high-end capture card that is compatible with PCs, Macs, and console devices. It can record stunning HD video and raw uncompressed data. Recording and streaming smooth gameplay requires high-end hardware. ExtremeCap U3 can record and stream game footage of up to 1080p 60fps. This is particularly useful when it comes to recording fast-moving FPS and sport games. At 60fps, it can record twice the amount of frames than many of its competitors. ExtremeCap U3 is designed to work seamlessly with the most popular streaming software such as XSplit, OBS, Wirecast, and more. ExtremeCap U3 is a portable device and is a viable alternative to AVerMedia’s Live Gamer Portable. Elgato’s Game Capture HD60 is the best portable capture card. At a thickness of 19mm and weight of 106grams, the HD60 is incredibly slim and lightweight. Yet it is one of the most powerful capture cards on this list. The HD60 is capable of streaming and recording stunning 1080p video at 60 frames per second. It is one of the few capture cards on this list that is able to record at 60fps. However, there is one drawback. The HD60 is not a standalone device and requires a PC. Nevertheless, the HD60 is full of exceptional features. For instance, Flashback Recording allows you to slide back in time to record retroactively. Or perhaps the Live Streaming feature that makes it easy to get up and running on Twitch, YouTube, or Ustream. The HD60 is compatible with most devices and streaming services. It is a high quality product that offers full functionality and control. Elgato Game Capture HD60 Pro is an internal desktop capture card with a PCI-E interface. It is the upgraded version of Elgato’s Game Capture HD and HD60. It offers the highest bitrate at 60,000 Kbps, compared to the 40,000 Kbps on the HD60. The HD60 Pro is compatible with the latest consoles and can stream directly to Twitch or Youtube in stunning 1080p at 60fps. A new feature called “Instant Gameview” feeds your stream with superior low latency technology, which eliminates delays. You can simultaneously save full resolution 1080p60 recording along with separate tracks of live webcam and commentary. The built-in H.264 hardware encoding ensures smooth recording and streaming while gaming. Perhaps one of its best features is Flashback Recording, which allows you to go back in time and record retroactively. 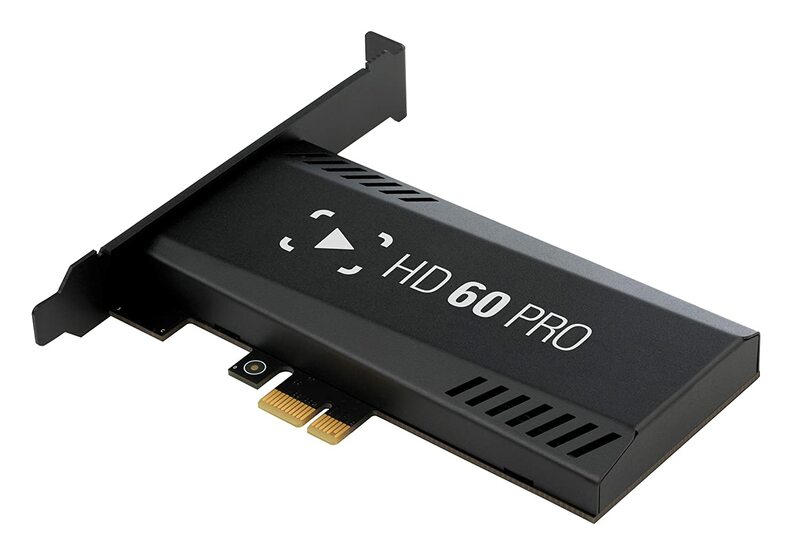 The HD60 Pro offers the highest quality and best performance of any PCI-E capture card. But it requires a computer in order to record or stream. If you want a more portable or standalone capture card, the HD60 Pro may not be for you.